Dana Feiss got hooked on track cycling during high school through a development program at Pennsylvania’s T-Town velodrome near where she grew up. Her tenacious drive and natural explosive power rapidly carried her from medaling in the Junior and U23 National Championships to a spot on the National team in the sprint and kierin events. 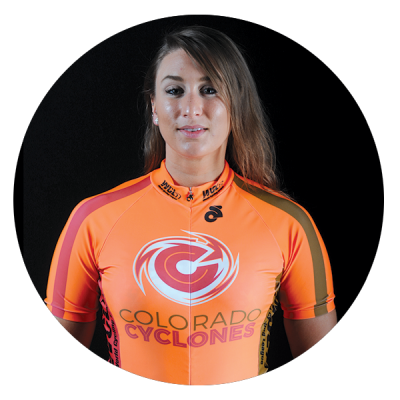 With four national championship titles and a Pan Am Games silver medal in her trophy case, Dana will bring her sprint talent and never give in attitude to the Cyclones, particularly now that she resides in Colorado Springs. When not training or racing, Dana is an accomplished medical writer for pharmaceutical companies and an avid blogger.